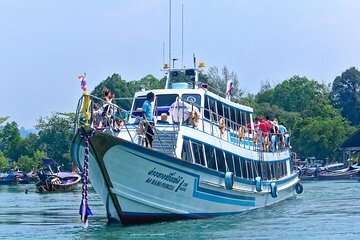 Meet at Rassada Pier or get picked up from your hotel in Phuket Town, Patong, Karon or Kata Beach for an additional fee. Cruise from Phuket to the mainland of Krabi on a safe and modern vessel. Enjoy the sights on the Andaman Sea as you relax and enjoy the voyage. Basic tavel insurance is included.